On the unpronounceable rue Montorgueil (that third syllable sounds something like the second in gargoyle) in downtown, touristy Paris you’ll find an idyllic market street of butcher shops, fishmongers, and florists where locals flock to for lunch at delis, bakeries, and historic bistros. Our guide contains its essential addresses for an afternoon of salivation and gastronomic salvation. Since the 10th century, Les Halles has been a center of trade. A formal marketplace was constructed in 1183 and over the centuries the number of merchants, stalls, and restaurants grew until the 10-hectare (25-acre) neighborhood became known as the Ventre de Paris (Belly of Paris). The rue Montorgueil was most associated with oysters, thanks to the founding of the Société des Huîtres d’Etretat there in 1777, apparently at the behest of Marie Antoinette who had a taste for the slippery delicacy. In the years up until 1866, the street was transformed into a parc à huîtres, where live shellfish were even reared in basins. The street has made numerous appearances in literature and art, most notably the writing of Honoré de Balzac and Émile Zola in the 19th century and the photography of Robert Doisneau between the 1930s and 1960s. By 1969, the neighborhood was at the point of bursting and the decision was made to relocate the market to Rungis near Orly Airport. The redeveloped Les Halles shopping center has recently brought life back to a district that was for a long time purposeless, though the rue Montorgueil has never lost its hustle and bustle vibe. If you’re in the mood for cheese, look no further than La Fermette at 86 rue Montorgueil. The Rigattieri family has run this spectacularly well-stocked fromagerie for over 20 years. The friendly and patient staff are happy to walk newbies through their choices and to point out star products to enthusiasts, like the truffled Brillat-Savarin or the 30-month Comté, which was given the enviable title of ‘best cheese on the planet’ by the food writer David Lebovitz. 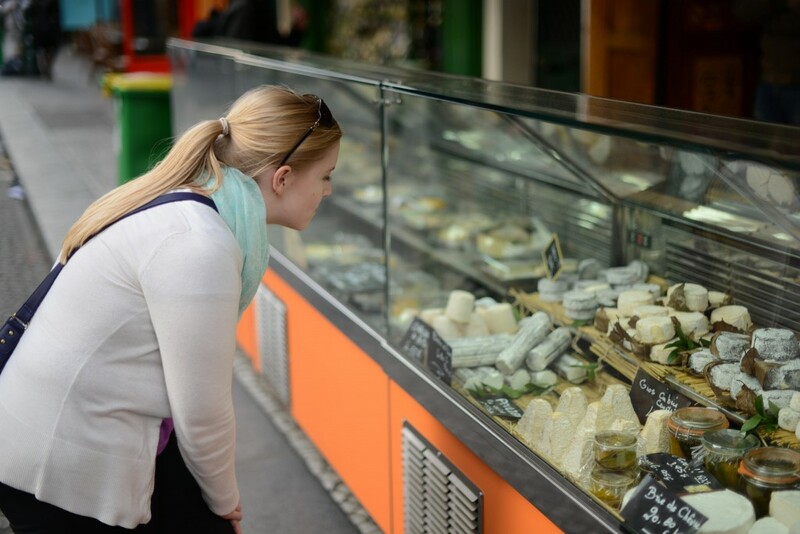 If you simply can’t decide, settle in for a €9 (US$9.80) tasting tray of freshly cut cheeses. There’s not much chance of you missing Stohrer’s bright yellow and blue awning at no. 51 and you certainly wouldn’t want to let this patisserie and delicatessen’s legendary treats pass you by. Opened in 1730 by Nicolas Stohrer, the personal baker to Marie Leszczynska, the wife of Louis XV, it’s considered the oldest shop of its kind in Paris. The epic history of the place is encapsulated in one of its original creations, the rum baba. Stohrer came up with its first incarnation by dousing some dried-out Polish brioche in Malaga wine and livening up the mix even more with saffron, pastry cream, grapes, and dry currants. This he called the Ali Baba after the character in Arabian Nights, a huge hit in Paris at the time. A century later in 1835, one of his descendants switched the wine for some rum and the dessert we all know and love today was born. In addition to an amazing offering of cakes and pastries, you’ll also find savory delights like smoked salmon, quiches, and scallops. Further down the street at no. 100, you’ll find the Maison Collet, another reputable bakery that’s been recently restored. The line that forms outside the door every lunchtime is a testament to the quality of its freshly baked bread. “Ah, to find Paris again! Do you know what that means, dear Parisians? It is to find… the cuisine of the Rocher de Cancale, as prepared by Borel for gourmets so lucky to appreciate it, for it only exists on Rue Montorgueil.” Restaurant reviews don’t come much better than this one, and though it was given by Balzac in the 1843 novel Honorine, part of his La Comédie humaine masterpiece, the sentiment stands the test of time. 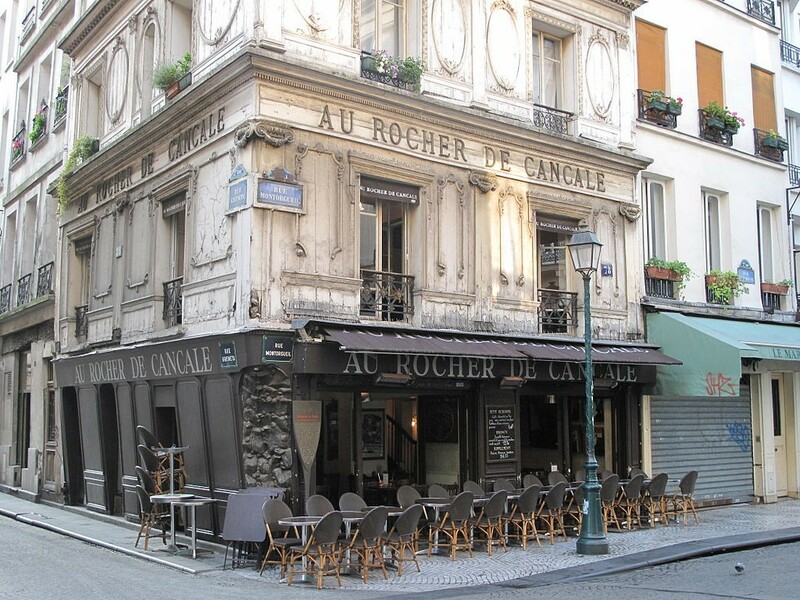 Au Rocher de Cancale first opened in 1804 at no. 59 but moved 42 years later to a 17th-century building at no. 78 where it still stands today (thanks to some minor renovations over the years). The restaurant is most famous for its oysters, which Balzac apparently consumed more than a hundred of in a single sitting, and its other seafood dishes, like the Sole Normande which has been a house specialty since 1837. 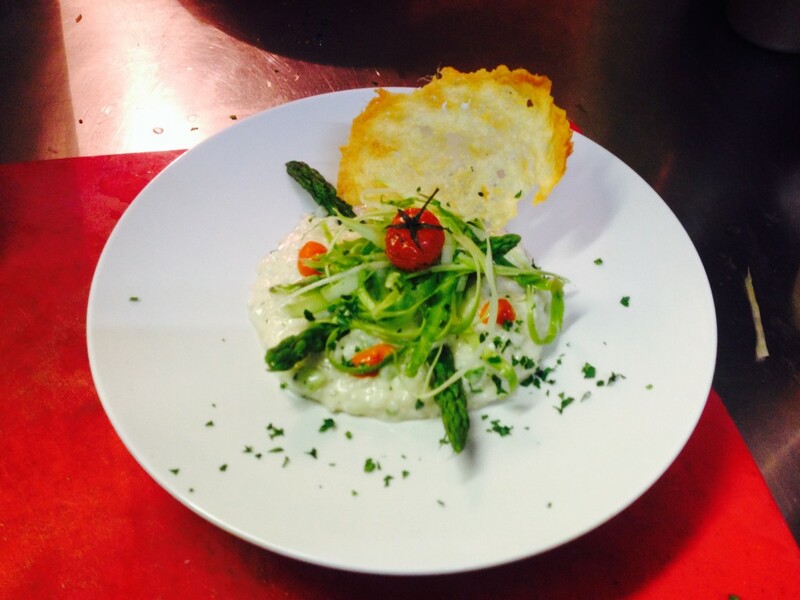 However, there’s also simpler fare like burgers and salads on today’s menu. 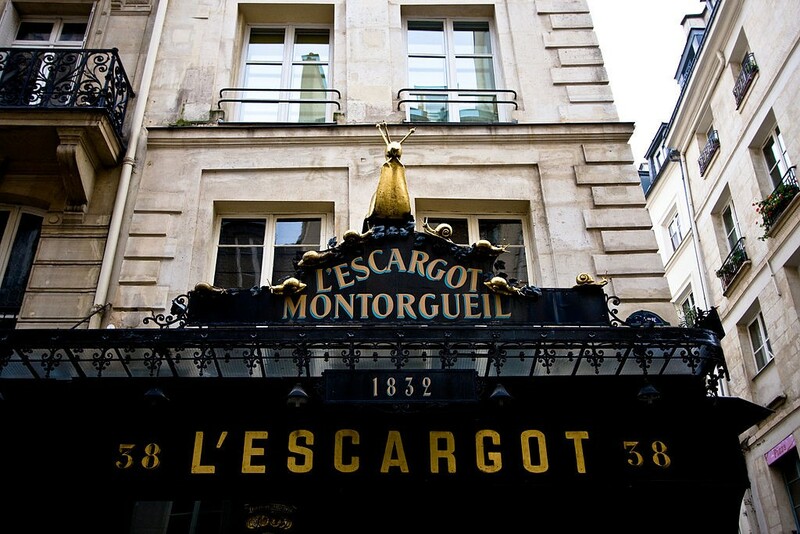 Another institution on rue Montorgueil to try is L’Escargot Montorgueil, which opened in 1832 and specializes, you guessed it, in snails. This place was a favorite of artists, writers, and theater folk like Sarah Bernhardt, Marcel Proust, Charlie Chaplin, Jean Cocteau, Pablo Picasso, and Salvador Dalí, and its Second Empire décor remains as stunning as it was in their day. You can have the escargot bourguignon prepared in the classic style, with garlic and parsley butter or with foie gras, truffles, or even 24-carat gold. Aux Tonneaux des Halles was originally a hotel but became a café in the swinging 1920s. 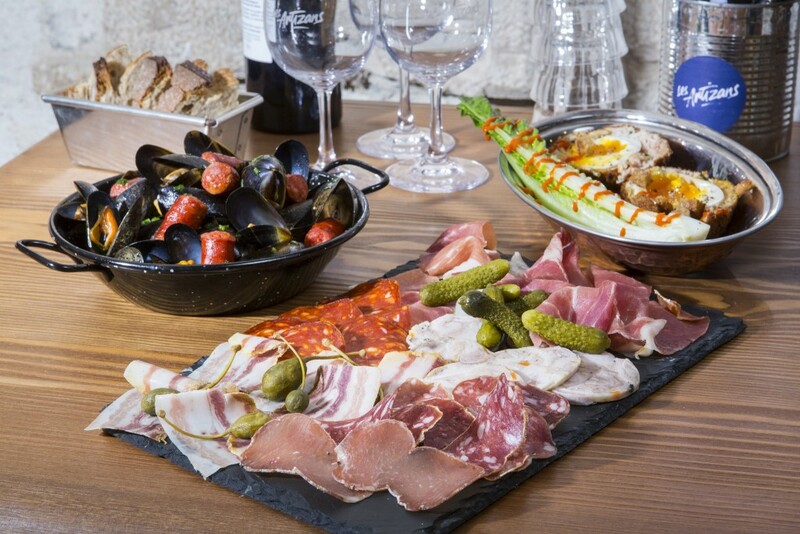 Since January 2015, it has been under the ownership of two brothers, Raphaël and Melchior, who are looking to bring back the best of its original bistro spirit. The homemade dishes, good wine, and tasty cocktails make it an ideal spot in which to spend the afternoon. The “bistronomie” at Les Artizans is simple, fresh, and delicious, and the weekday lunch menu of a starter, the dish of the day, and a dessert from the window is an excellent deal at €22 (US$24). Chef Patrick Canal lets his morning trips to the market inspire his mains, so you might be in for lamb with a shallot and piquillo pepper relish or hake with a ravigote sauce depending on his mood and pâtissier Mathieu Mandard is famous for reinventing classic desserts like his Paris-Brest with almond milk and Morello cherries. A la Mère de Famille at no. 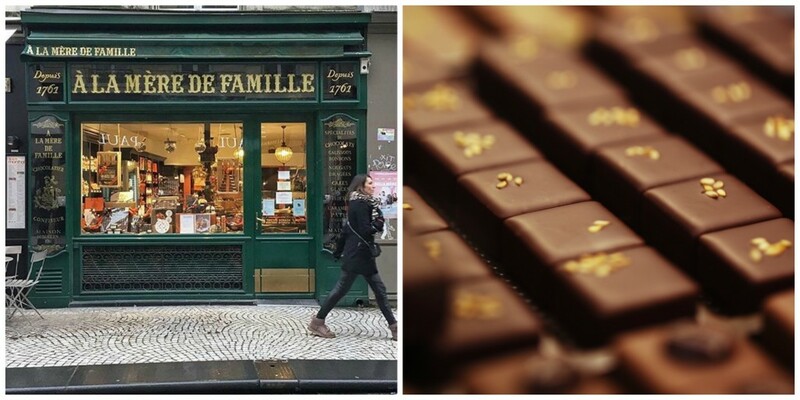 82 is part of a small chain of chocolate shops that are the oldest in Paris. The original store on the rue du Faubourg-Montmartre was opened in 1761 and its distinctive green and gold façade dates back over 150 years. 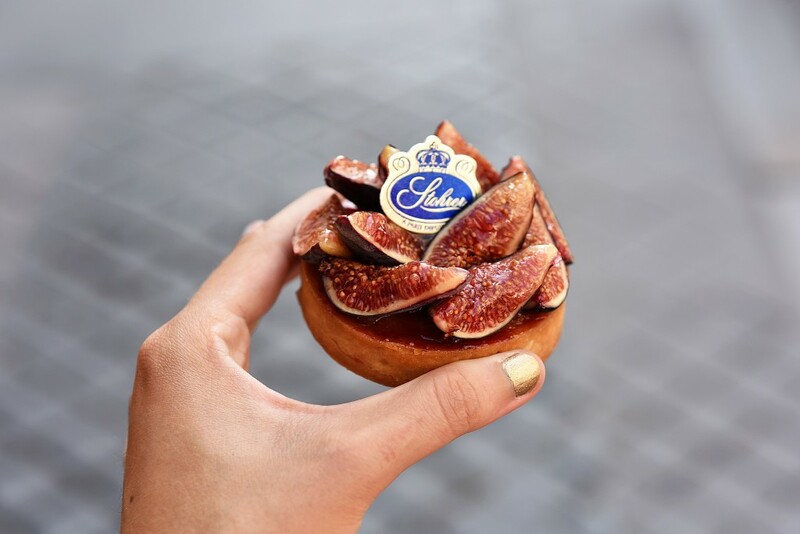 In addition to a dizzying array of chocolates, A la Mère de Famille sells candies, pastries, and homemade ice cream—an unbelievable 1,200 products in total. Since 2000, the business has been owned by the Dolfi family who have done well to expand the brand while retaining its historic charm. Charles Chocolatier, founded in 1910, is another address of note for those with a sweet tooth. The house specialties include hot chocolate, candied chestnuts, fruit jellies, and artisanal ice cream. After all those sweet and savory delights, you’ll no doubt be in need of some liquid refreshment. Created in 2006, Nysa is a local wine merchant that works with winemakers known for their clean and respectful growing practices. The staff are young and passionate about their work and are only too happy to help you select the right bottles for you. 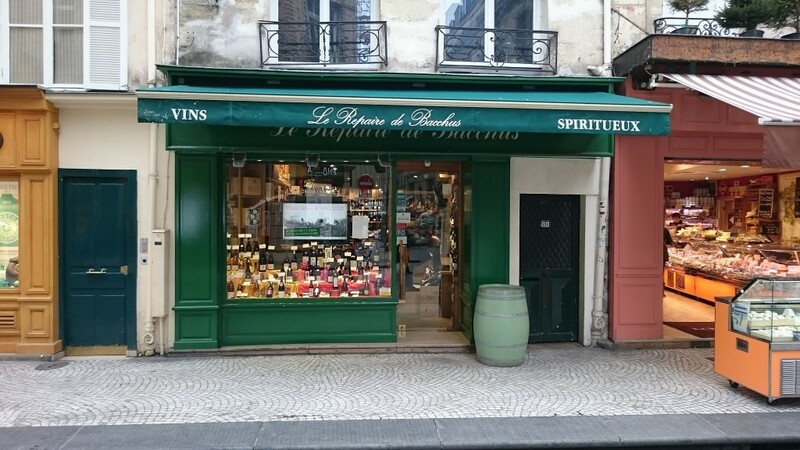 Just a couple of doors down, right next to our favorite cheese shop, La Fermette, is Le Repaire de Bacchus, your more traditional wine merchant. The store’s philosophy is to provide a broad selection of wines that have been selected on very strict quality criteria—no easy task but one they do exceptionally well.